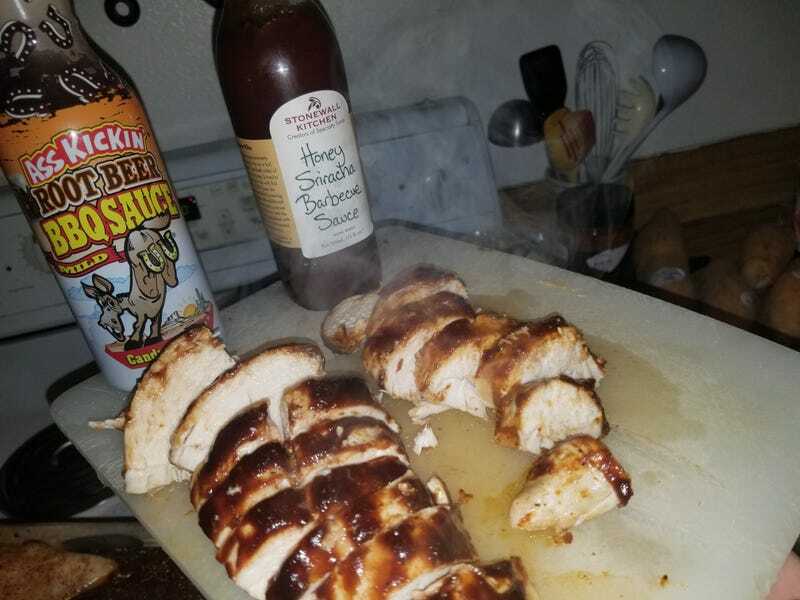 Best BBQ sauce I’ve found to this day remains the hickory smoke BBQ made by my local ritzy grocery store. In fairness I bought the budget brand chicken breast today since the Foster Farms chicken was sold out and the organic stuff is rediculously expensive for chicken. Didn’t think it would make much difference, but it’s way stringer, with nasty hard bits inside. 10/10 will not buy again. A pound of sweet potatoes, a pineapple, and half a pound of broccoli rounds out this filling lunch.